Brian will work with you to design and create the perfect fence for you and your property. Using wood, metal, wire, composite or recycled materials, Harrison Fence can create the fence you’ve been dreaming of! 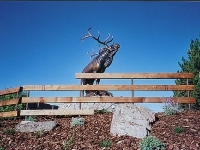 The first photo below shows the fence that was created for the Leanin’ Tree Museum and Sculpture Garden in Boulder, Colorado. Please visit the Leanin’ Tree website for more information about the museum and sculpture garden. 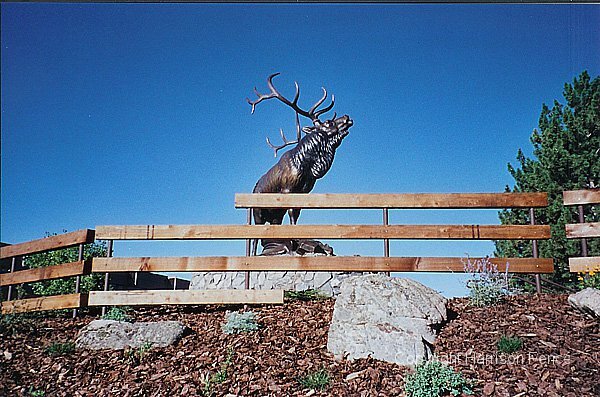 This fence was created for the Leanin’ Tree Museum and Sculpture Garden in Boulder, Colorado. The fence was built using round steel tubes for posts. Clear cedar beams were especially bored to fit over the posts to create a floating quality between the metal and wood elements. The fence segments are not connected by posts as in a traditional fence, but again, kept separate to continue the ‘floating’ effect. 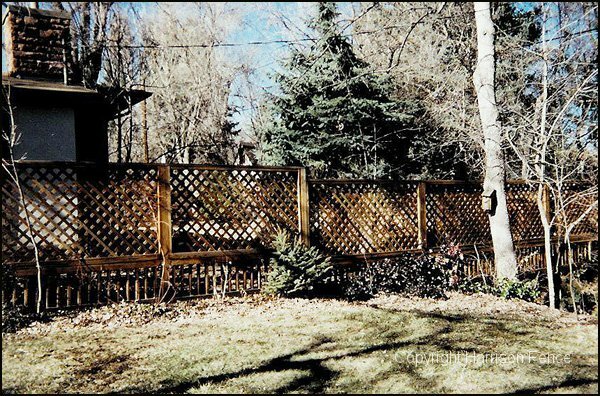 The lattice-screen fence is an alternative to open rail fences and closed privacy fences. 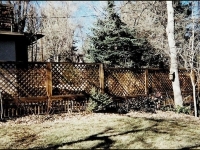 A screen-type fence offers a visual barrier without completely blocking the view from both sides. Lattice or Trellis screens are useful with climbing vines or garden enclosures.